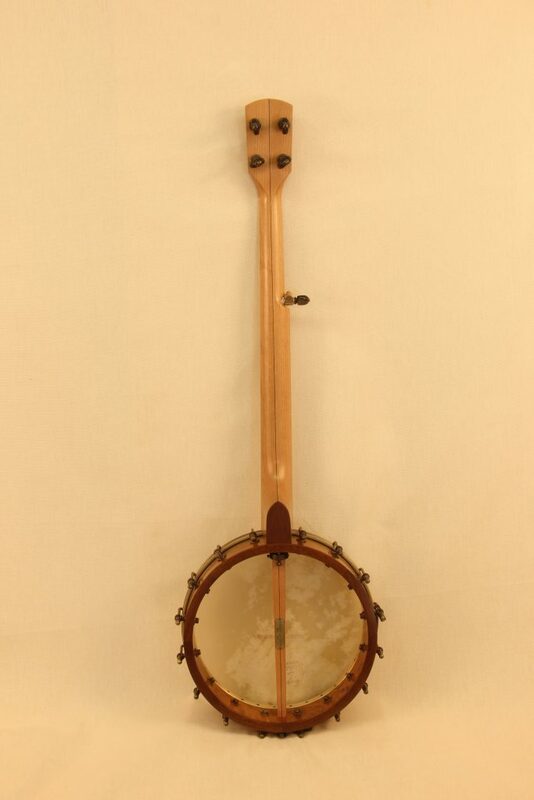 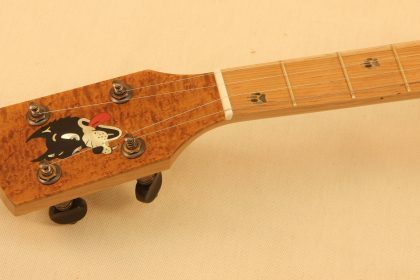 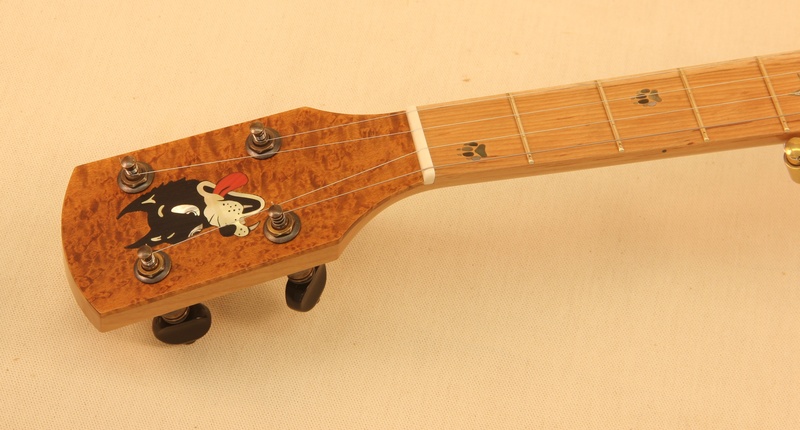 This banjo was an outside the box design that the client had a fun vision for. 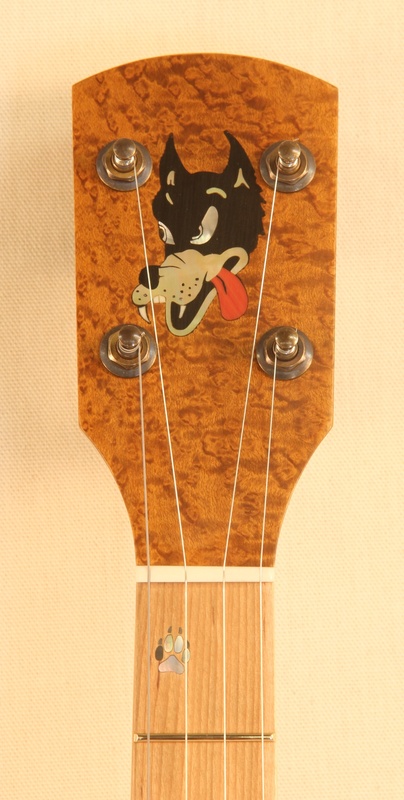 Being a big Grateful Dead fan he wanted to use some of his favorite details and themes from his love of their craft. 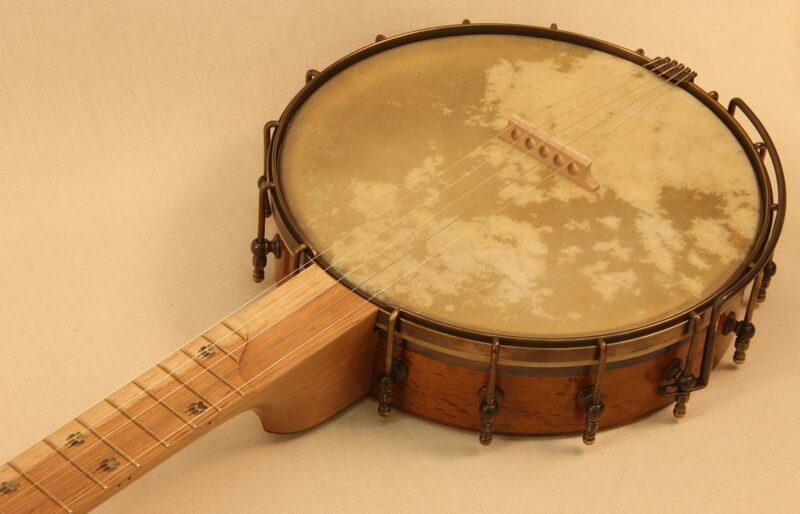 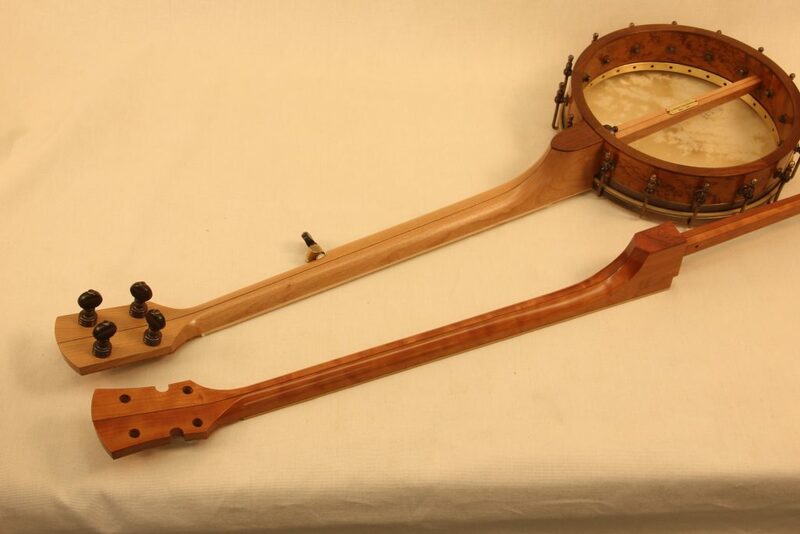 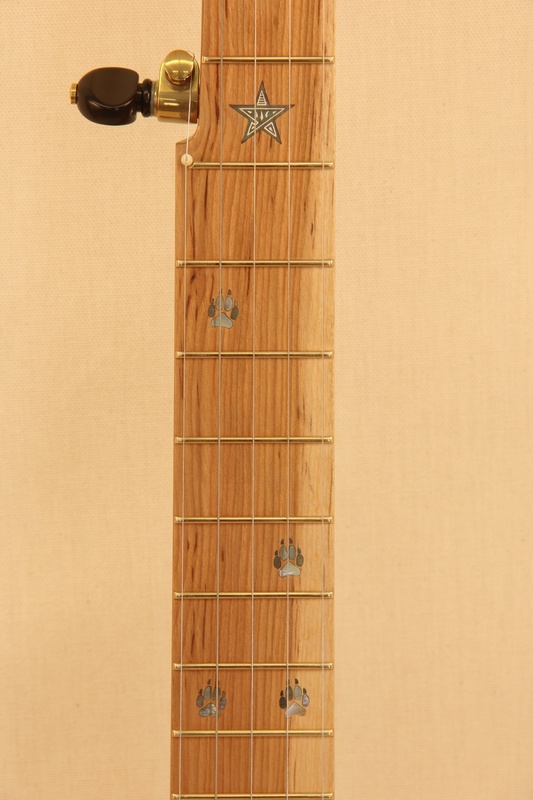 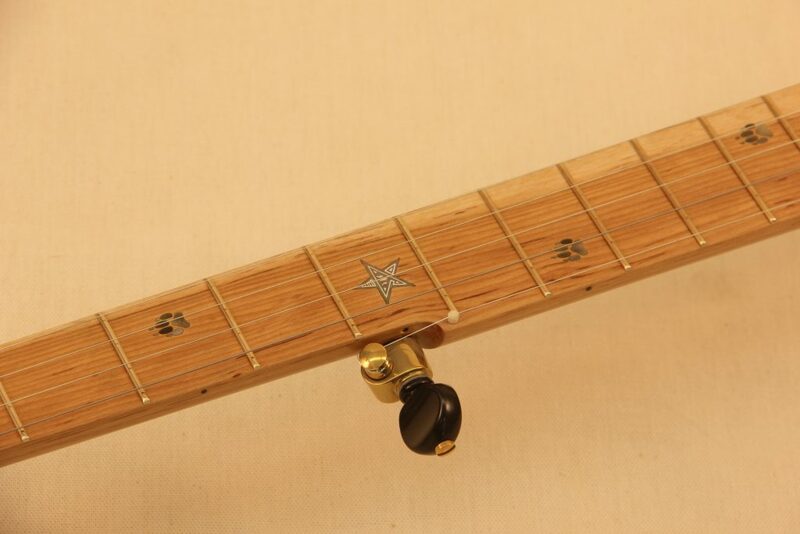 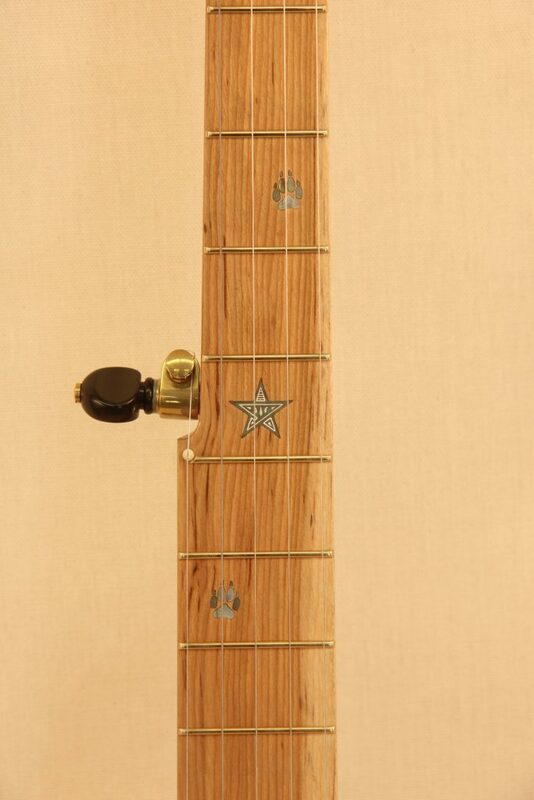 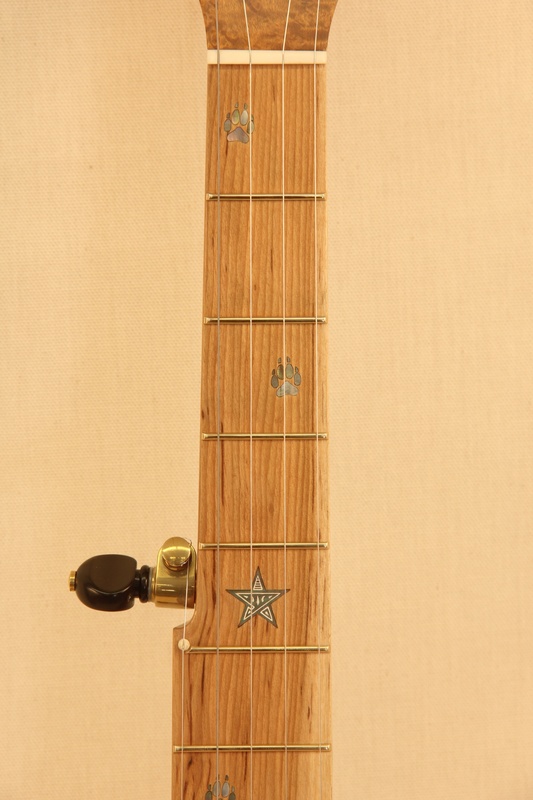 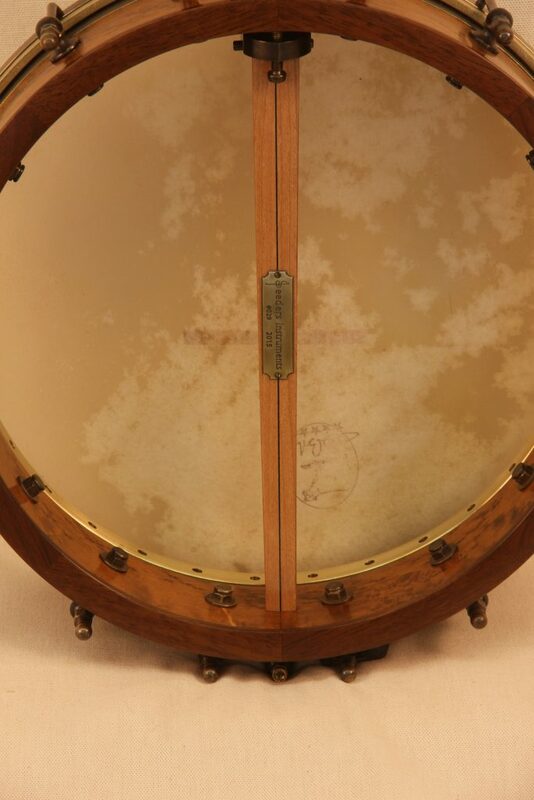 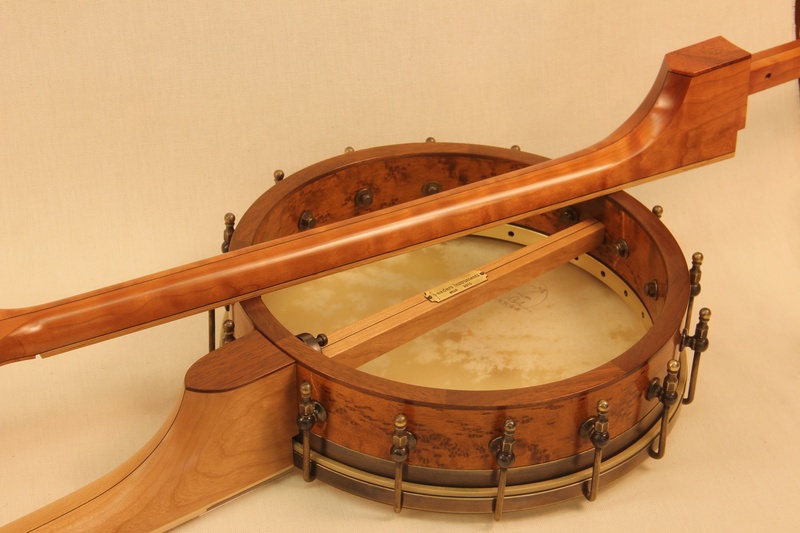 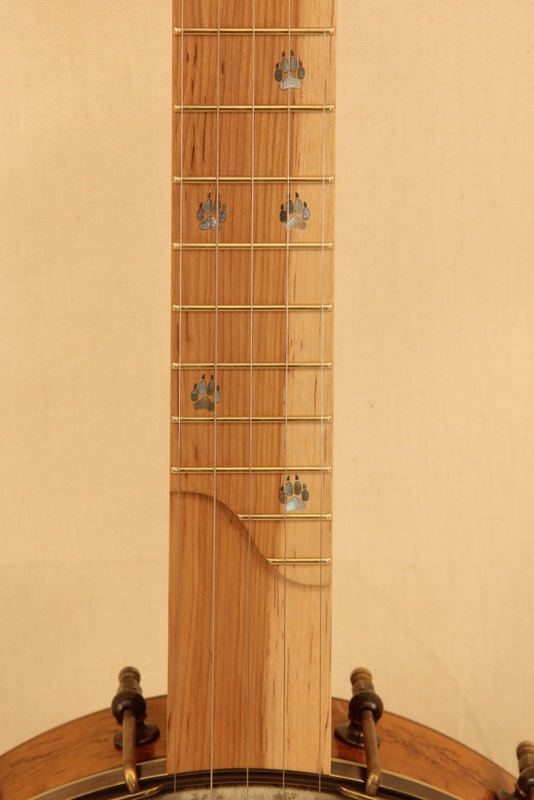 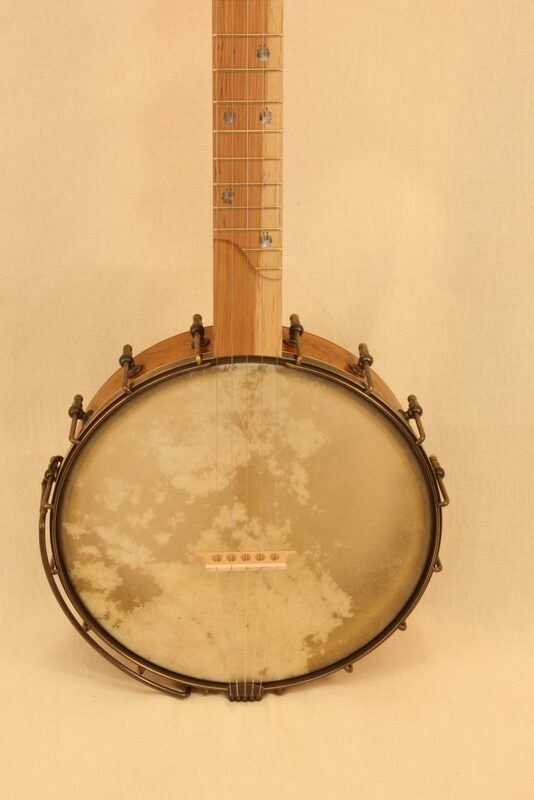 This banjo uses a combination Cherry and Birdseye Maple rim construction. 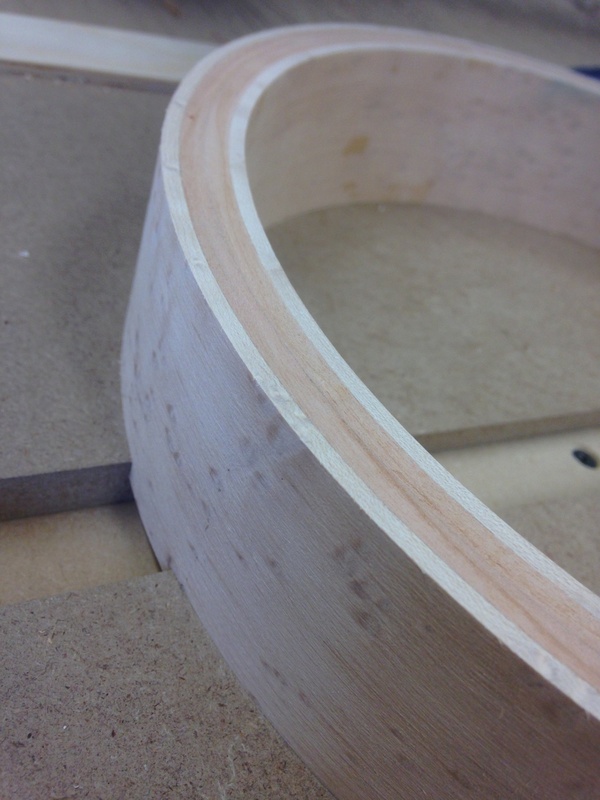 There are two cherry layers trapped between two Birdseye maple outside layers. 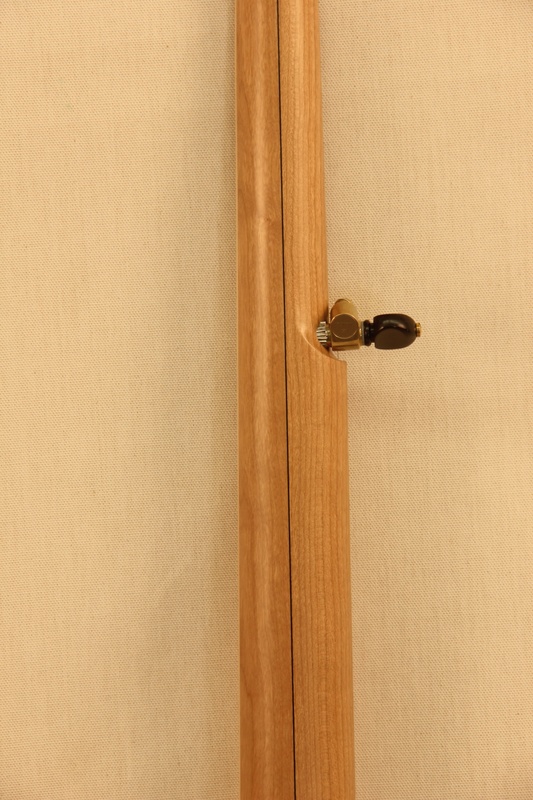 Neck in two photos is showing an older cherry neck to show how the cherry will darken over time creating a beautiful contrast with the Ironwood.